Soundproofing a home can be expensive if you take the route that involves new fittings or alterations to your home. 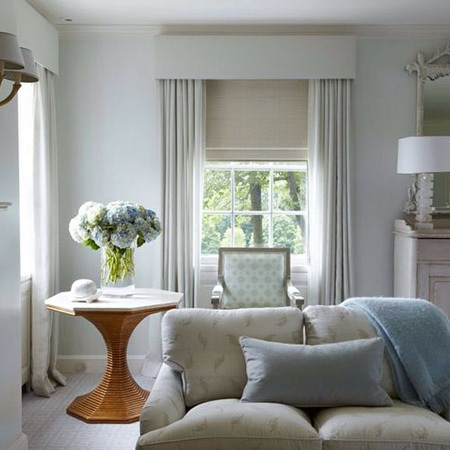 But there are ways to bring some peace and quiet to your home by using design tricks to reduce noise levels. Modern living means that many homeowners living in townhouse developments, apartment buildings or flats. This means you can be constantly bombarded by noise from neighbours, no matter how quiet your home may be. With constant noise going on you may find your temper boiling as blood pressure rises, and there's not really much you can do except complain. The tips below will go a long way towards soundproofing your home to make your life more comfortable. If you are looking at flooring options for a new home, and worried about noise levels from neighbours, you should definitely consider installing carpet. When having carpets installed, look at the options for under-carpet insulation fitted under carpets, as this can also help with reducing noise levels. As an alternative to having carpets fitted, you would be surprised at the difference an area rugs can make to reduce noise levels. A thick pile or woven rug not only adds texture and pattern to your living spaces, it also helps soundproof a room. 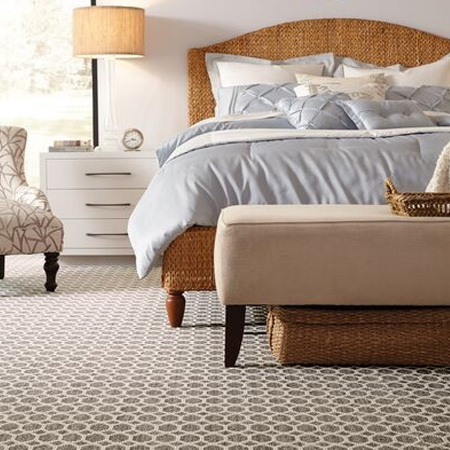 For increased soundproofing and luxury underfoot, you can add an area rug over the top of fitted carpets. If there is one room in a home that needs soundproofing it's the bedroom. This is your haven and you want the bedroom to be peaceful and quiet. A carpet in the bedroom will definitely reduce noise levels, and you can also look at how you can incorporate fabric and textiles in creative ways to increase soundproofing in this room. By insulating your home we are not referring to ceiling insulation, although this can also help, but rather doors and windows. Insulating the structure of your home can reduce noise levels substantially. Take a closer look at your doors and windows to check for gaps around the frame, or at the bottom of a door. It's these areas that can be fitted with insulation in the form of foam insulation tape or a draught excluded to not only insulate your home from heat and cold, but also sound. Further increase insulation by fitting layered window treatments to windows, or hanging thicker curtains, especially where you know you have a noise problem in a specific room. Choose a layered window treatment that complements the room decor, or ask the experts at Finishing Touches (inside Builders Warehouse) to put together a layered window treatment for you. You should consider installing Roman blinds as the first level and then finish this off with decorative soundproofing curtains. If you're not a fan of blinds and would prefer a more formal window treatment for your bedroom, think double layer. 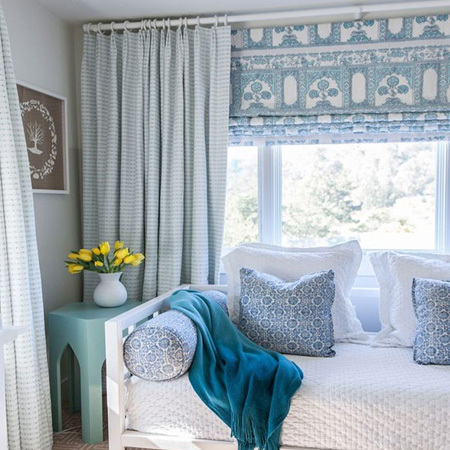 A layer of lacy sheers behind heavy-weight curtains will block out a lot of external noise, and keep what happens in the bedroom - in the bedroom. You can improve soundproofing even more by choosing the right type of furniture. Upholstered furniture acts as a natural insulator that can soften outdoor noise. 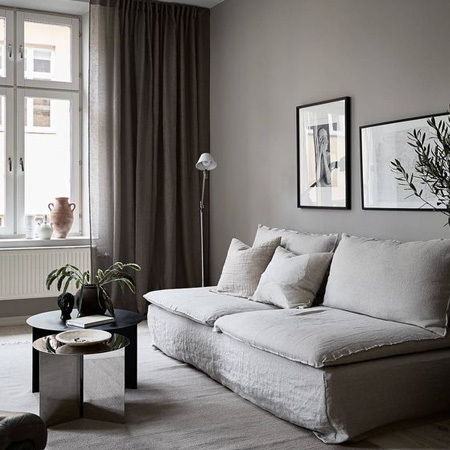 Select an over-stuffed sofa or fully upholstered sectional suite as the main seating element in your living area and then build up layers of soundproofing with cushions, rugs, and even textile wall hangings. Anything upholstered will absorb noise. In the bedroom, the installation of an upholstered headboard will assist in noise dampening and keeping the bedroom insulated and peaceful. 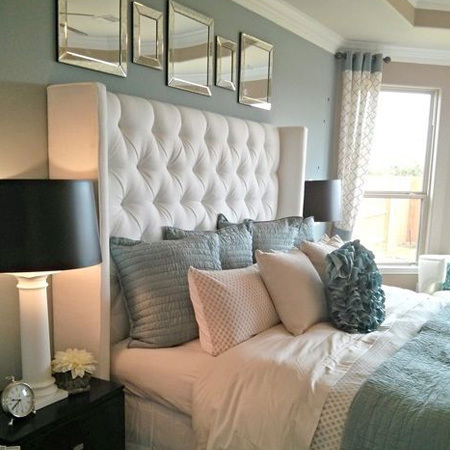 If there is enough room, think about making an upholstered ottoman for at the end of the bed. 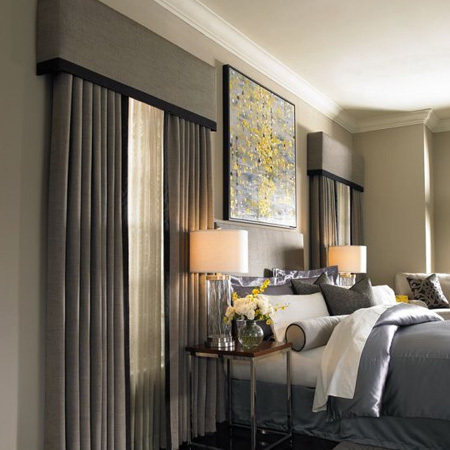 All of these upholstered elements absorb noise and work towards a more comfortable bedroom. 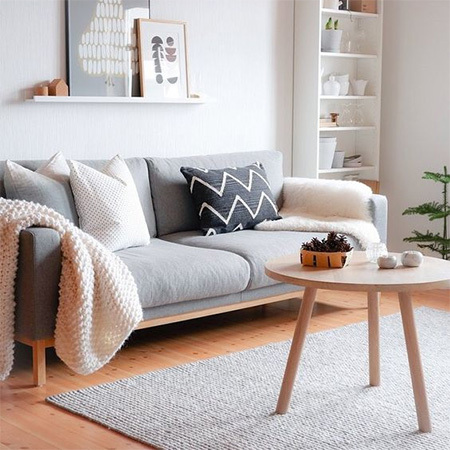 By implementing some of the simple decor tricks mentioned above, you are putting your comfort first by creating a home that is quiet, cosy and comfortable!